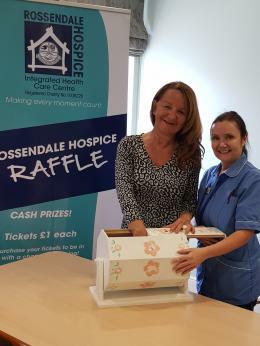 This year Rossendale Hospice is celebrating its 30th anniversary of hospice care in Rossendale. 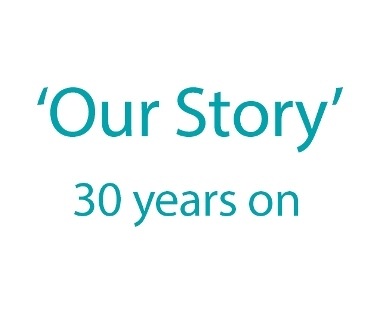 Take a moment to read our journey throughout those 30 years. 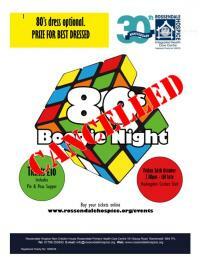 In 1986 the initial idea of ‘Terminal Care in Rossendale’ was conceived. Charitable status was granted for Rossendale Hospice and homecare was operational by 1988. During 1990, the first Nurse-in-Charge was appointed and worked 13 hours over two days. An open day was held to raise awareness of the new services to local people in the valley. By 1991 the official opening of ‘The Bungalow’ which housed the Day Care facilities was a key milestone for Rossendale Hospice. This year was also the start of trialling non cancer patients, which became permanent and currently stands today. Later that year, Rossendale Hospice launched a monthly bereavement group to support patients and their families. Day Care services were operating well and increased to 4 days a week by 1992. Our nursing team increased to 3 members of staff. The following year, Christie’s Manchester acknowledged the Day Care Unit as a centre of excellence. Our first vehicle was donated to the hospice in 1995 - this was the start of being able to offer transport to patients. Two volunteer’s drivers were recruited to help. With a National Lottery Grant in 1995, complementary therapies commenced. A Reflexologist attended one morning per week allowing patients to get control over some of their symptoms. Therapies then extended to include Reiki and aromatherapy daily and some hypnotherapy. A decade into providing Hospice care in Rossendale we celebrated with a Anniversary Dinner and celebrated the achievements to date. In 2000, a 10 week rolling programme for patients with early stage cancer was introduced. Our special events committee was created in 1999 and they organised the first Annual Ball. By 1999, Former Day Care patients held a self-help group at the Hospice every Monday. They were known as the New Horizons group who later volunteered in a new hospice shop. The Early Diagnosis Day was the first in the country to be developed. The Giving Tree, which now sits in Reception, was sought. This was created to raise funds throughout the 15th Anniversary year. Today more than 500 leafs take pride of place on the tree. Each leaf signifying the local support we have in the valley. A new group was piloted, the COPD Group (Chronic Obstructive Pulmonary Disease) was started in 2009 and is still running today. Many patients with lung and heart conditions find it beneficial to meet others with similar conditions at Day Care. In 2006, Rossendale Hospice secured a contract with Social Services to provide a social palliative care service. During these years the Hospice moved twice. In 2007 it moved into the newly refurbished Ward 5 of Rossendale Hospital and then it moved again in 2010 to where it is based today - The new Primary Care Centre, Bacup Road, Rawtenstall. The Befriending Service was created to help isolated and elderly people in the community. This service currently has over 100 volunteers supporting many patients in the community. Between 2012 - 2014 we opened our three retail shops based in Rawtenstall, Haslingden and Bacup. Our shops raise a substantial amount of funds to allow the Hospice to continue its good work and this is only possible through the donations we receive from the local community. By 2014 the shops raised just over £50,000. In 2015 Rossendale Hospice was accredited BACP (British Association for Counselling & Psychotherapy) - we were the second Hospice in the UK to receive this accreditation. Today we support many patients and it costs just under £1 million to fund these vital services. It down to the kind generosity and support of local people who make it all possible.